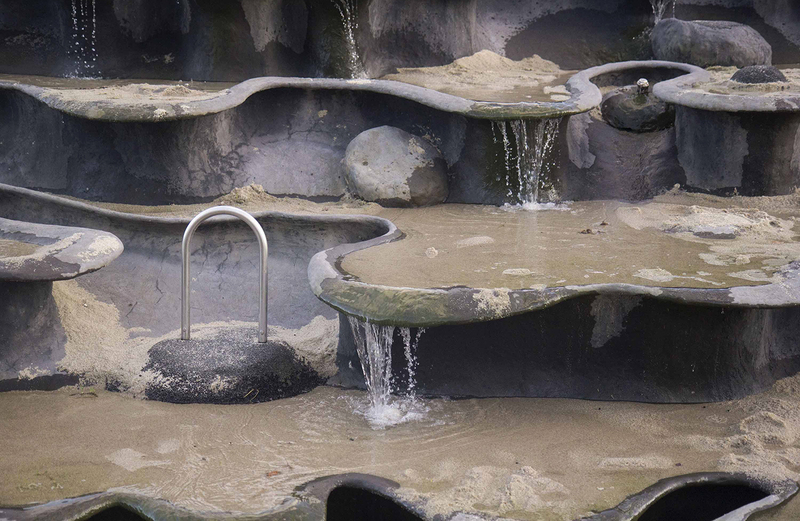 150 m2 water fountain and playground sculpture. 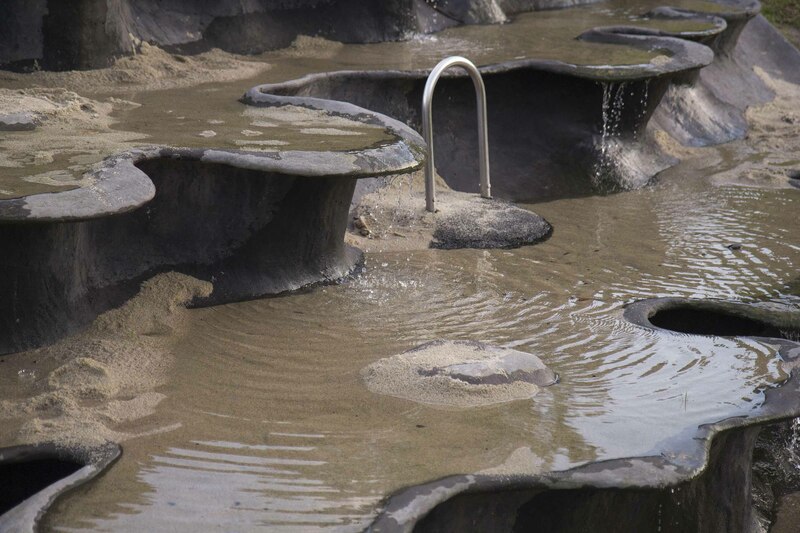 “Geysir” is an ambitious, innovative project, combining organic form, sand, air and water to create a unique sculptural environment, inspired by “pre-historic” volcanic areas, where you would find geysers and pools of boiling mud, like we see in fx Iceland and New Zealand. The aim here is to create a versatile play opportunity for the children, providing a rich, chaotic system, that allows freedom and improvisation in their play. 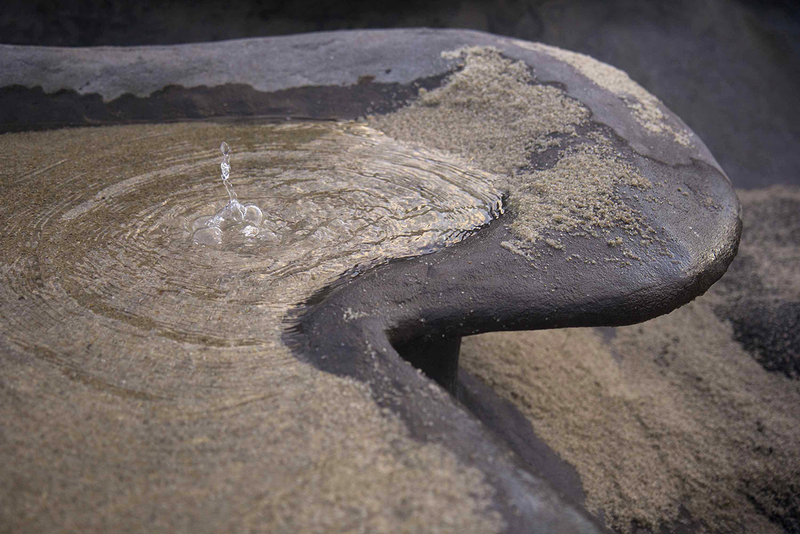 Digging ever-changing water-canals in the wet sand, adding sticks and stones of their own findings, and an overall tactile structure that stirs the senses and awakens their physical instincts and intuition. 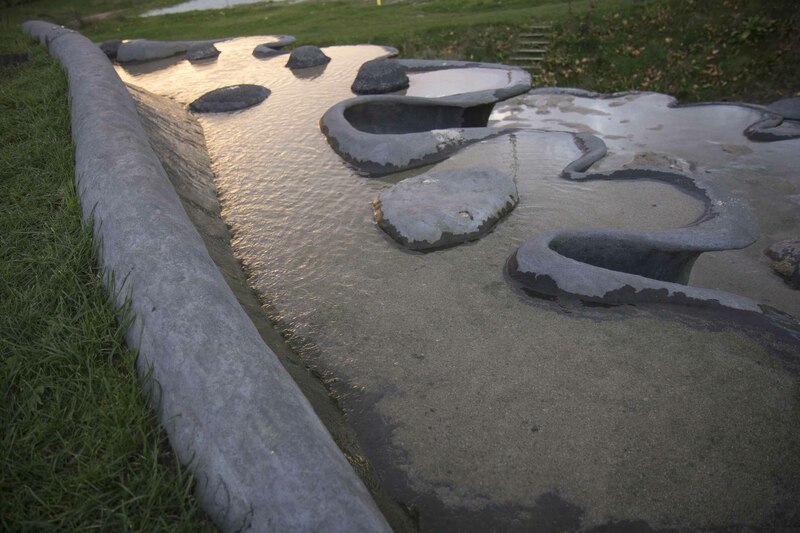 Custom designed features are installed in this sculpture, like Geyser water canons, that shoot clean air up from the ground, when triggered by nearby air-cushioned triggerpads. 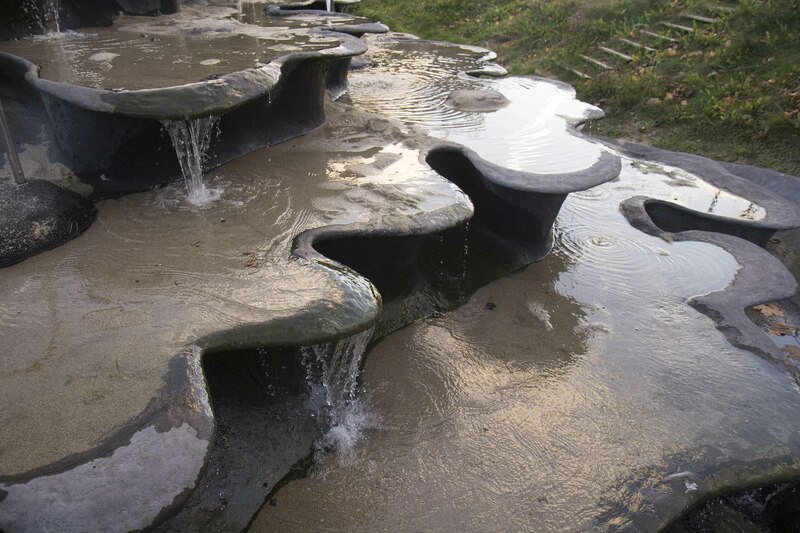 And hidden air nozzles under the sand, bubbling compressed air from the bottom of each terrace, up through the wet sand, creating a “boiling mud” effect. The three handpumps are also custom made for this project. 3 water-canons (Geysers) – shooting clean drinking water 3-4 meters high. All features are in various ways made interactive by a computerized system. 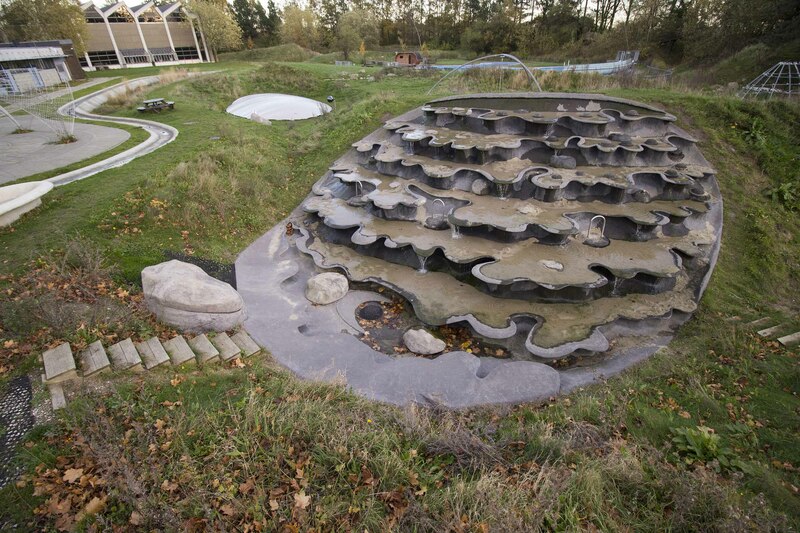 We are utilizing recycled rainwater, pumped in from an adjacent bio-filter system. 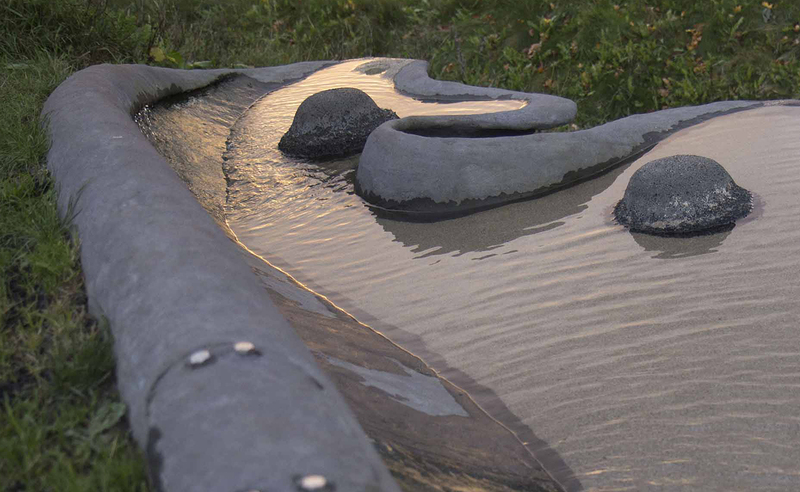 Manual pumps built into the sculpture. 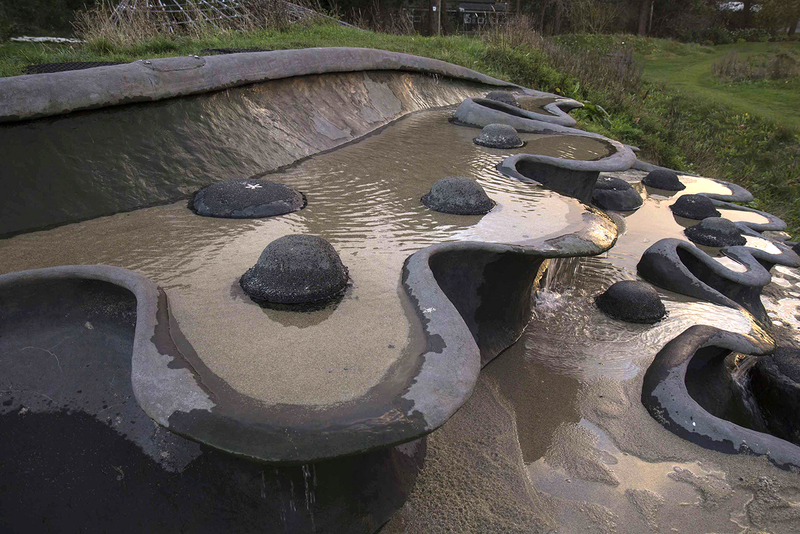 Recycled, biofiltrated Rainwater flowing in from the top.